AMMONNEWS - Minister of Industry, Trade and Supply, Tarek Hammouri, stressed the importance of efforts between Jordan and Iraq to enhance joint economic cooperation in various fields and to optimally benefit from the opportunities and potentials available in both sides. During a speech he delivered on Saturday evening at the Jordanian-Iraqi Business Forum held in Baghdad on the sidelines of the inauguration of the Baghdad International Fair, Hammouri said Jordan stands by Iraq in the battle of reconstruction, development, progress and prosperity. A press statement issued by the Ministry of Industry and Trade on Sunday quoted the minister highlighting the importance of bilateral business meetings to establishing complementary trade relations and partnerships and opening new markets to the national industry. The minister said the exhibition's activities covered various economic, industrial and commercial sectors. He affirmed the government's keenness to ensure the integration of the Jordanian economy into the global market by liberalizing trade and benefiting from trade and investment opportunities around the world. These policies, he noted, have led to the creation of a network of trade relations between Jordan and the Arab, regional and international countries, as well as big economic blocs, where business communities can benefit from opportunities to access markets for made-in-Jordan products. Jordan has developed significantly over the past decades in the industrial and service fields, which had a strong presence in international markets, adding the Jordanian industry is competing with its counterparts in the developed countries thanks to Royal directives and government policies focused on developing the industrial sector and enhancing its competitiveness. The economic reforms in Jordan have led to the creation of a competitive investment environment and the strengthening the national economy, as the legislations governing economic activity have been enacted, especially the new Investment Law, which will make a key leap in improving the investment attractiveness of the Kingdom, as well as addressing investor obstacles, with the aim of enhancing the Kingdom's business climate, thus making Jordan as an attractive location for high value added investments that contribute to creating jobs and increasing production. "Iraq is in a promising phase of development and growth. The strategic dimension in the Jordanian-Iraqi relationship and the close historical relations between the two countries require drumming up efforts and building a strategic partnership between the two countries based on mutual respect and common interests, which will contribute to the achievement of security and stability in the region," he pointed out. He affirmed Jordan's support to Iraq to move to the stage of reconstruction and achieve security, peace and stability, a bid that will be achieved by companies with expertise in this field or competent investors to enable Iraq to reintegrate in the Arab and regional and international landscape on the basis of balance and integration in mutual relations. The Karama-Trebil border crossing, which has recently been reopened, is considered a major gateway for activating the joint economic and trade movement, he said, adding "It is necessary to invest and develop it, facilitate trade and the movement of traffic through it". The minister voiced Jordan's readiness to offer facilitations for Iraqi businesspeople to enter Jordan, adding the Jordanian Embassy in Baghdad is open 24 hours a day to fulfill this task. 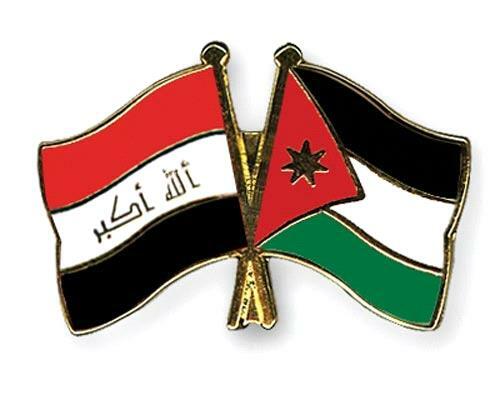 For his part, Iraqi Minister of Industry and Minerals Saleh al-Jubouri said the holding of the Jordanian-Iraqi Business Forum is particularly important to enhancing economic cooperation between the two countries in various fields, especially in the trade and investment domains. The current phase, al-Jubouri said, requires a strong boost to economic cooperation between the two countries in various fields and cooperation in the field of reconstruction projects in Iraq, pointing to the Iraqi government's resolve to launch a policy of economic openness, which thus creates prospects for Jordanian businesspeople to take advantage of opportunities available in the Iraqi market and the multiple investment projects. Al-Jubouri said Jordan is considered one of the most important economic partners for Iraq and therefore it is necessary to work at maximum capacity in order to increase the trade volume between the two countries and raise investment rates. He stressed the importance of increasing the level of joint economic cooperation, removing any trade impediments, and stimulating businesspeople to establish investment projects in both countries.